Vakili Shahrbabaki, S. (2014). The effect of plant density and quantity of nitrogen fertilizer on vegetative function of Lawsonia inermis L. in Jiroft. 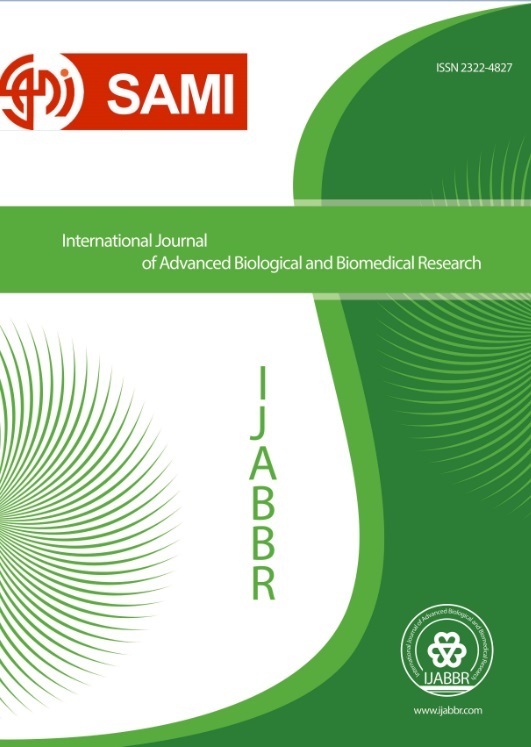 International Journal of Advanced Biological and Biomedical Research, 2(1), 51-62. Seyed Mohammad Ali Vakili Shahrbabaki. "The effect of plant density and quantity of nitrogen fertilizer on vegetative function of Lawsonia inermis L. in Jiroft". International Journal of Advanced Biological and Biomedical Research, 2, 1, 2014, 51-62. Vakili Shahrbabaki, S. (2014). 'The effect of plant density and quantity of nitrogen fertilizer on vegetative function of Lawsonia inermis L. in Jiroft', International Journal of Advanced Biological and Biomedical Research, 2(1), pp. 51-62. Vakili Shahrbabaki, S. The effect of plant density and quantity of nitrogen fertilizer on vegetative function of Lawsonia inermis L. in Jiroft. International Journal of Advanced Biological and Biomedical Research, 2014; 2(1): 51-62. In order to examine the effect of the quantity of Nitrogen fertilizer and bush density on vegetative and productive function of henna medicinal plant (Lawsonia inermis) factorial experimentation in the form of block plan was carried in three stages in agriculture research center in south of kerman province in corp of 2012. The first factor containing Nitrogen fertilizer in 4 levels including 50,100,150,200 kg net Nitrogen fertilizer and the second one as bush density in three level including 110000-160000-210000, bushes were examined. The measured traits included weight of fresh stem, stem, height weight of dried stem and leave, and total dried and fresh weight and all of productive traits including weight of fresh and dried flower, number fruits in bush, number of seeds in a fruit, number of seeds in frui weight of 1000 seeds and function of seeds. The results indicate that that effect of bush density, nitrogen fertilizer qualities and contrast effect between two factor on weight of fresh and dried leave Statistically was in to concern up to 1%, but nitrogen fertilizer shows no difference in statistical respect on this quality, nitrogen fertilizer effect on all of productive qualities except number of seeds in fruit Was up to 5% fruitless as the main consumption of henna is its leaves. Finally with density of the bush 160000 to 210000 bushes in 1 hectare and consuming 50kg nitrogen fertilizer with function of dried leaves weight up to 3.54, 3.34 tons in one hectare is recommended. Even though consumption of 100kg nitrogen fertilizer in hektar resulting of maximum effect on dried weight. Abbaszadeh, B., Sharifi, A.E., Ardakani, M.R., Lebaschi, M.H., Safikhani, F., Naderi, H.B.M. (2006). Effect of application methods of nitrogen fertilizer on essential oil content and composition of balm (Melissa officinalis L.) under field condition. Iran. J. Med. Aroma. Plant. Res, 22(3): 124-131. Alizadeh, S.A., Sharifi, A.E., Shiranirad, A.H., Abbaszadeh, B. (2006). The effects of different methods and levels of using nitrogen on some quality and quantity characteristics of Satureja hortensis L. Iran. J. Med. Aroma. Plant. Res, 23(3): 121-128. Balak, R., Sharma, N.L. and Nagari, A.A. (1999). Effects of different levels of sodicity and fertility onthe performance of German Chamomile under subtropical conditions, oil content and composition of essential oil. J. Med. Aroma. Plant Sci. 21:969-971. Chaudhary, G., Goyal, S., Poonia, P. (2010). Lawsonia inermis Linnaeus: A Phytopharmacological Review. International Journal of Pharmaceutical Sciences and Drug Research. 2(2): 91-98. Marisol Berti, D., Rosemarie wilckens, E., Felicitas Hevia, H., Alejandro Montecino, Y. (2003). Influence of sowing date and seed origin on the of capitul Calendula officinalis L. during two growing seasons in Chili. Agric. Technol, 63(1). - (Neishabouri, 1385). Orwa, C., Mutua, A., Kindt, R., Jamnadass, R, Simons, A. (2009). Agroforestree Database Lawisonia inermis ( Henna ) . a tree reference and selection guide version 4.0. Rao, S.S., Regar, P.L., Rog, P. K. and Singh, Y. V.( 2007). Effect of nutrient management and row spacing on Henaa (Law Sonia in ermis) leaf production and quality. The Indian Journal of Agricultural Sciences ,77(8) (abstract).